Fixed Definition - What Does Fixed Mean? 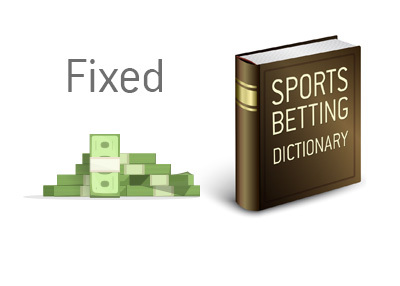 What is the definition of the word fixed in the world of sports betting? In the world of sports betting, the word fixed refers to when an outcome of a game is predetermined by people who are looking to cheat the sportsbooks. By fixing the outcome of the game, gamblers can wager on one side, knowing that the outcome of the game has already been predetermined. By doing this, the gamblers are ensuring themselves of a victory. Many professional sports leagues are against sports betting because of the possibility of fixed games. Others, however, argue that it would be nearly impossible to fix the outcome of the game in a professional sports league. There is, however, the possibility of fixing games in smaller leagues, or perhaps tennis matches which are off the radar. Fixing games can obviously be very big business, as betting many millions of dollars on the outcome of a game that you have fixed can obviously result in millions of dollars in profits back into your pocket. Many sports books have technology in place that will alert them to the possibility of fixed matches.